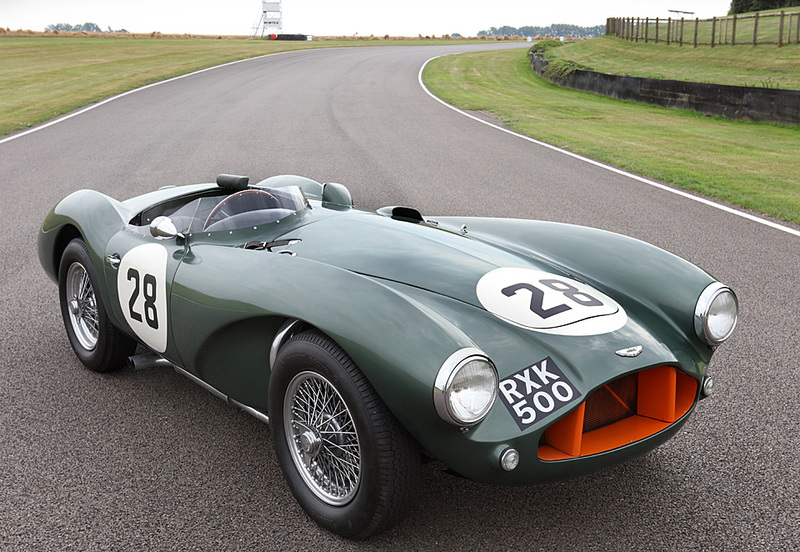 The predecessor to the DB3S was the DB3, a sport racer that first appeared in 1952. Developed for Aston Martin by the ex Auto Union race engineer, Eberan von Eberhorst. It was a significant improvement on the DB2 and 2/4 which were robust and sporting road cars but hardly suitable for racing being built onto an overweight and outdated box section chassis. The design a featured large diameter tubular chassis with independent torsion bar suspension. The body was a simple rather utilitarian affair and the whole car was not particularly good looking with performance to match. David Brown brought in Willie Watson to improve things. The new car was called the DB3S. The chassis was shortened and lightened and re-worked to great effect and the body was smaller and more aerodynamically efficient. This is arguably Aston Martin’s best looking and most svelte coachwork, designed by Frank Feeley who in 1937 had penned the famous lines of the Lagonda LG 45 Rapide. The DB3S is just as iconic and instantly recognisable. The new car was a sensation. 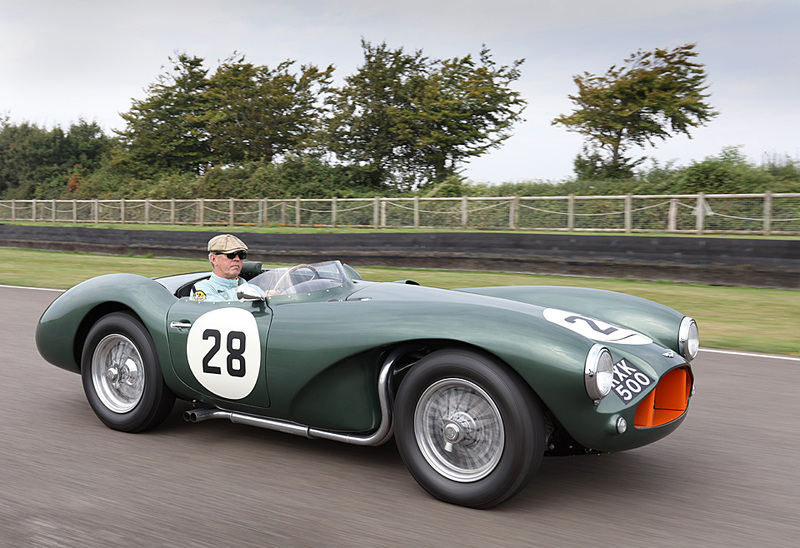 The weight reduction of 165 pounds made it competitive from the start and by the end of 1953 the ‘Works’ cars had proven their dominance at the TT, Silverstone and Goodwood. They continued to rack up victories and for 1955 the factory agreed to offer 20 examples to its privateer racing customers. 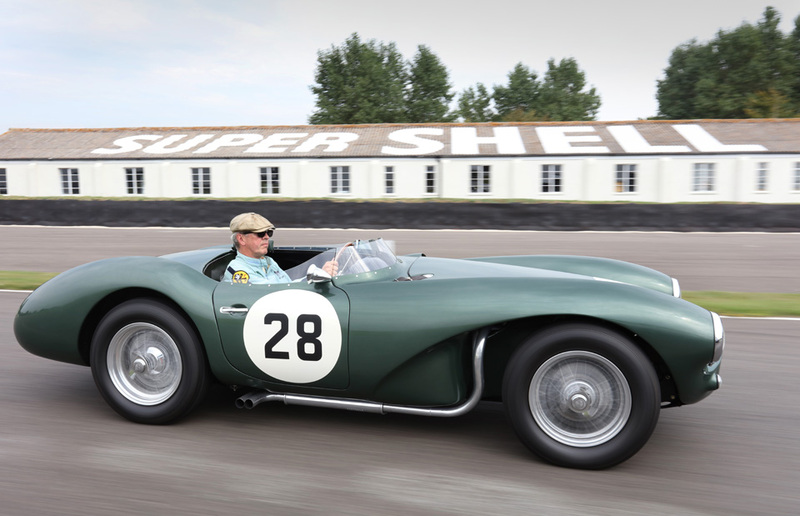 They were not cheap, at the time a C Type from Jaguar could be bought for about £ 1,500 while the DB3S was over £ 1,000 more expensive at £ 2,600 which with Purchase Tax became £ 3,684. There were 53 C Types built and you can find period pictures with rows of them racing whilst the DB3S was far more exclusive with seldom more than one or two appearing at any given event. 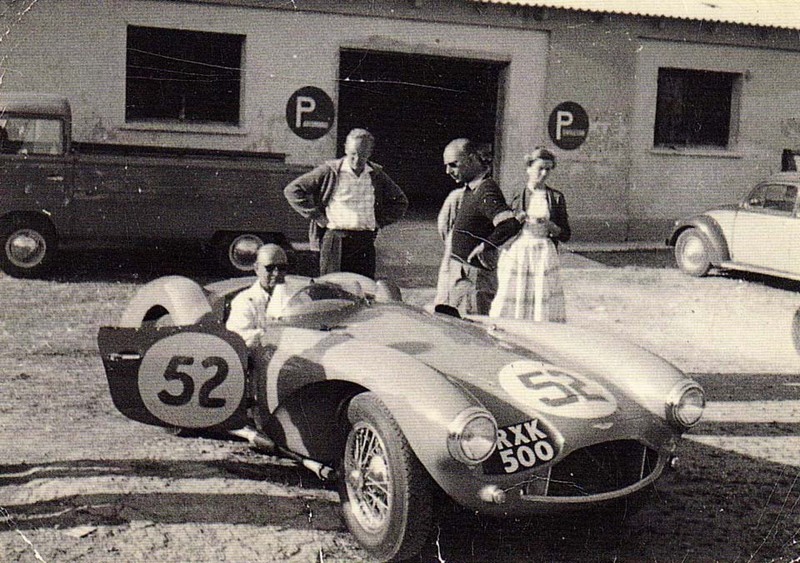 This car, chassis DB3S/118, was ordered in March 1956 by Dutchman, Hans Davids. A native of Rotterdam, he was an experienced competitor and Pre-War had been the national motorcycle champion and had successfully raced a variety of cars. Post War he drove a C Type for Ecurie Ecosse before buying the DB3S. He first appeared with the car at Goodwood on April 14th and entered two races finishing 3rd in both. Not bad for a production car with the single plug head. 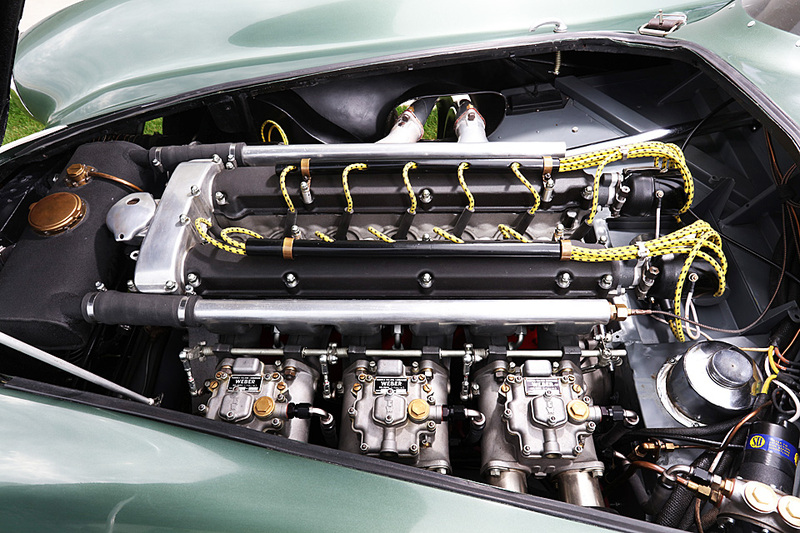 However, two months later with unofficial ‘Factory’ support he had managed to get Aston Martin to supply him with the twin plug cylinder head set up as fitted to the Works cars. and giving a substantial power increase which it retains to this day. 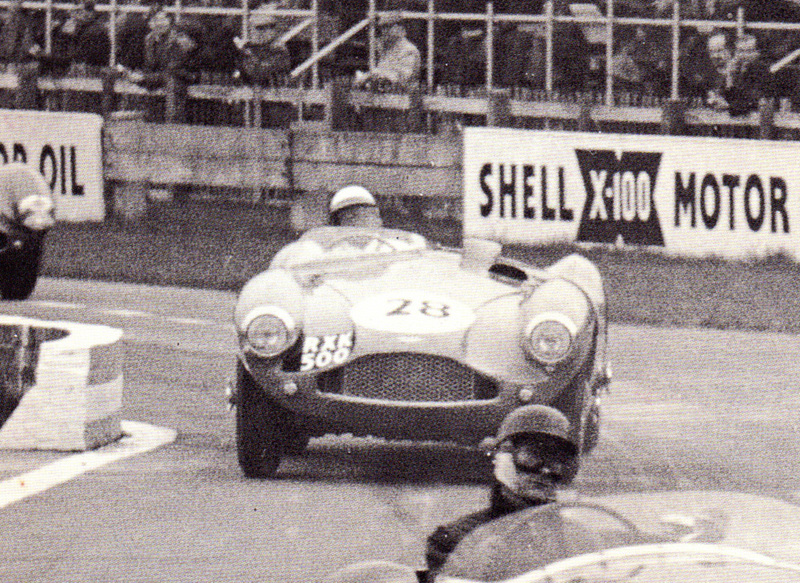 In 1956 Davids competed in numerous events including races at Silverstone, Goodwood and Spa. He achieved a 1st and a 2nd at his home track of Zandvoort. He repeated his victory there in 1957 and chose that moment to retire from racing and subsequently sold the car to a Captain Paul Hyatt of the U.S. Navy. Hyatt took the car to the U.S.A. and in his ownership and driven by Fred Windridge the car won its class at Bridgehampton on June 1st 1958. He sold the car at the end of the year to Joe Lubin. In 1959 he entered the car for the race at the Pomona Fairgrounds track. Bob Oker drove the car but failed to finish due to electrical problems. 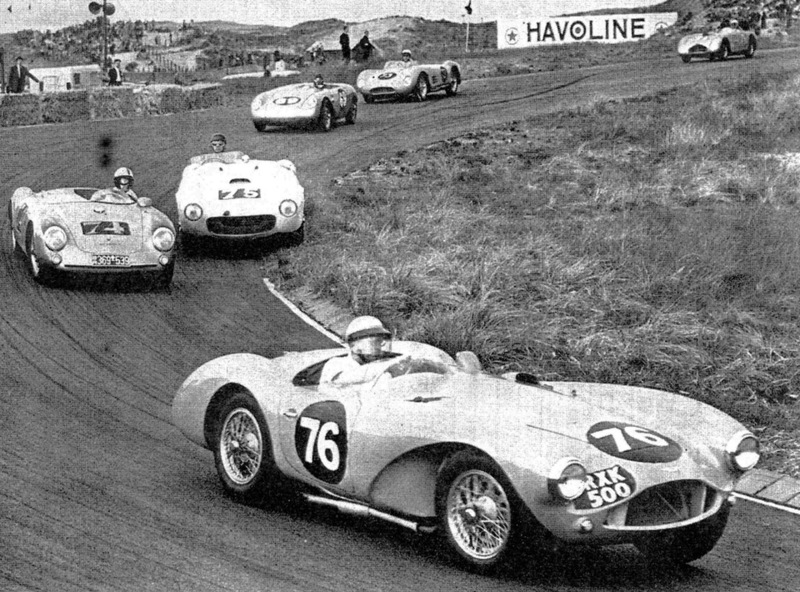 The race is remembered for the dice Oker had with Richie Ginther in a Ferrari 500TR and because the Aston sustained cosmetic damage to its nose. Lubin did not race the car again but kept it until 1965 when he sold it to its fourth owner. This was Richard Felt and he agreed a deal with Lubin where he bought the car for $ 1,815 but paid for it over a 24 month period with payments of $ 75 per month. Clearly he loved the car from the start and never sold it. Felt kept the car for 28 years until he died in 1992 when it was acquired by Chris Salyer. Salyer was to keep the car for 20 years. When he bought the car it was partially restored and in bare metal. He kept it like this for a number of years and this is how it appears in the Palawan Press DB3S book evidencing that it has retained its original body throughout its career. Eventually he re-finished the car in Lubin’s white with blue stripe livery and it was sufficiently well done to be awarded a Second in Class at the wold famous Pebble Beach Concours. The car is offered with a complete and continuous history and evidences unquestionable originality and provenance. It is offered with two engines. Its original engine complete with factory supplied twin plug head and the unit currently fitted which is a fresh newly built unit. In addition there are numerous spares including a complete front disc and drum brake setup. Without question the DB3S is one of the most important and attractive Sports Racers of the Post War era; not only successful on the track but great looking with it. Its iconic design incorporates style, engineering and aerodynamics with unequalled success. 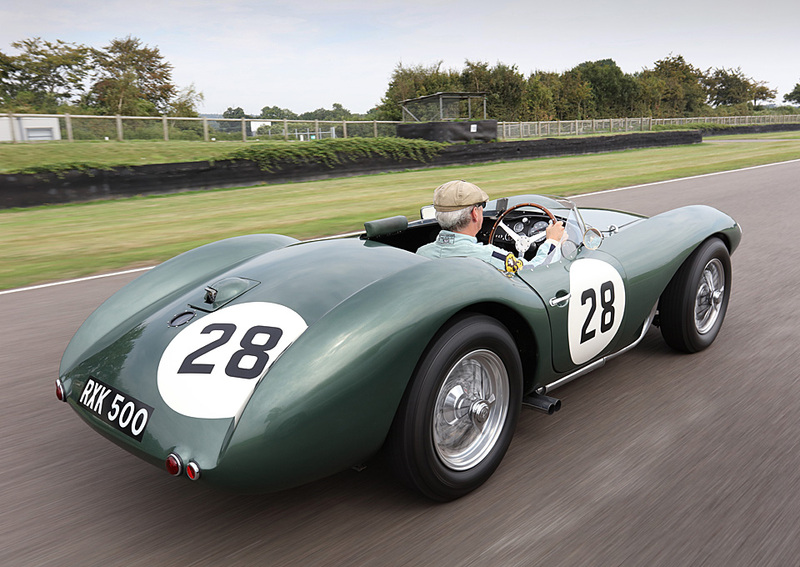 With only 20 production cars having been built and many of these ‘locked’ into long term ownership DB3S/118 offers a rare opportunity to acquire a highly original world class Fifties Sports Racing car that is eligible for the most exclusive and prestigious events including Gooodwood, Monaco, Le Mans and the Mille Miglia.